The Hummer Limo is the perfect Limousine for weddings, Birthdays, Quinceaneras, Proms and any other even you can think of. This limo seats up to 22 passengers and is loaded with options. 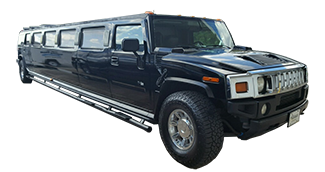 The Hummer H2 Super Stretch Limo is the perfect Limousine for weddings, Birthdays, Quinceaneras, Proms and any other even you can think of. This limo seats up to 22 passengers and is loaded with options. The limo has Full Bar for your Childrens Favorite "Non-alcoholic party beverage drinks", Color changing ceiling, amazing video and sound system with subwoofer built in DVD player.